Amazon.com description: Product Description: FOR USE IN SCHOOLS AND LIBRARIES ONLY. 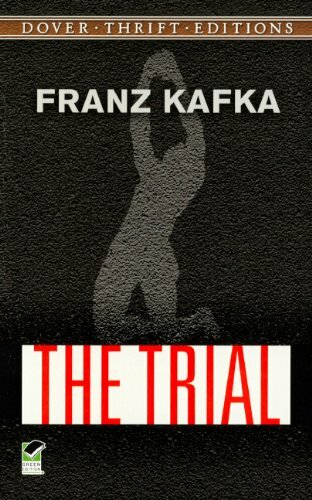 From its gripping first sentence onward, this novel exemplifies the term ""Kafkaesque."" Its darkly humorous narrative recounts a bank clerk's entrapment in a bureaucratic maze, based on an undisclosed charge.